A chewy blend that includes blueberries, cashews, and vanilla for unbeatable flavor with just the right amount of crunch. 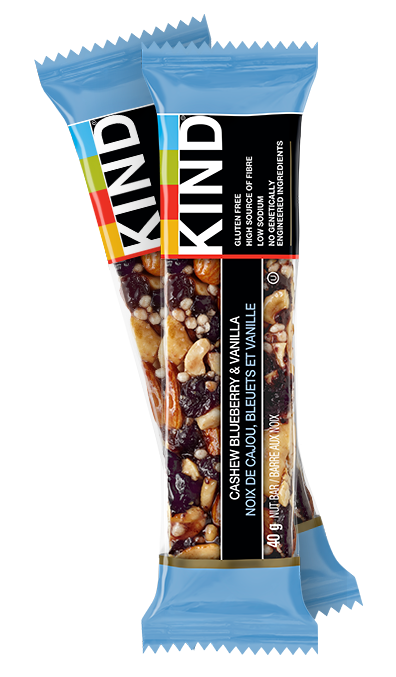 Ingredients: Cashews, almonds, dried blueberries (blueberries, sugar, natural flavour, citric acid), inulin, honey, crisp rice (rice flour, sugar, salt), glucose syrup, raisins, vanilla extract, soy lecithin. Contains cashews, almonds and soy. May contain peanuts, tree nuts, sesame seeds and nut shell fragments.